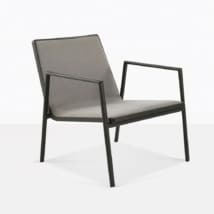 The low, wide, angular outside frame makes this super-comfortable relaxing chair a real modern marvel, with the clean lines and the impeccable build quality. 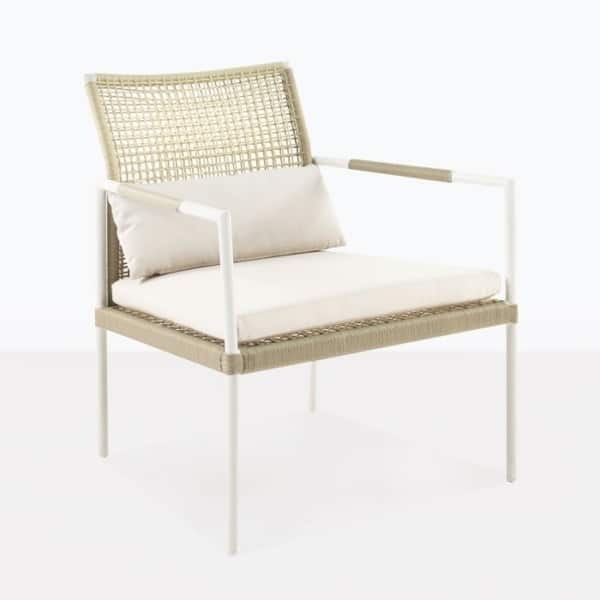 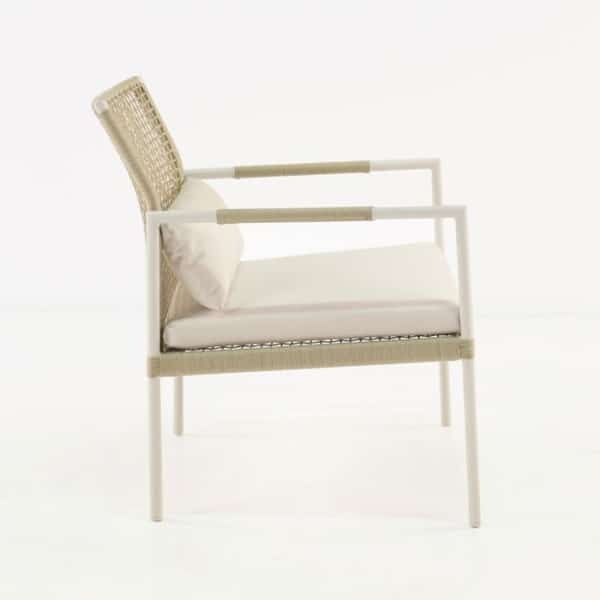 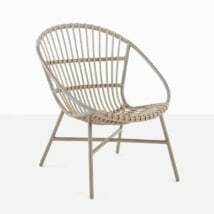 Made with powder-coated aluminum and Ecolene outdoor wicker, this outdoor relaxing chair is built to last and made specifically for low overall maintenance. 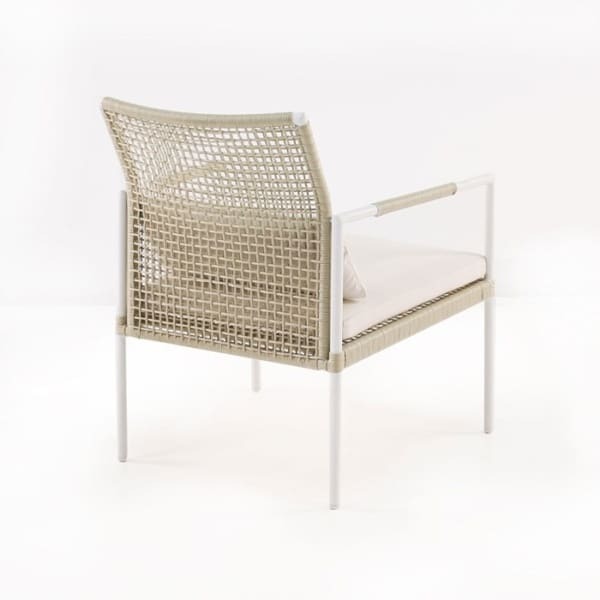 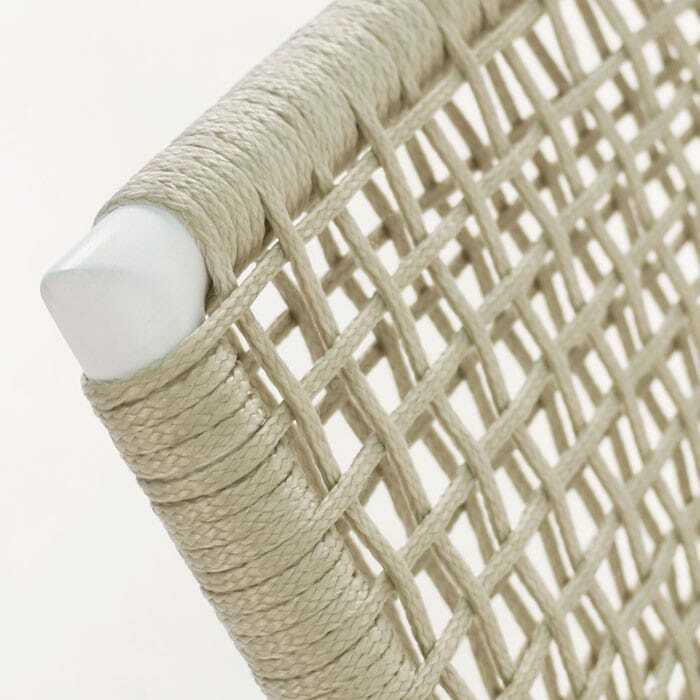 The synthetic wicker looks amazing and the wide dimensions make it the perfect companion for a long day in the sun, or under shade, where you’ll get lots of quality time relaxing in your natural setting outdoors. 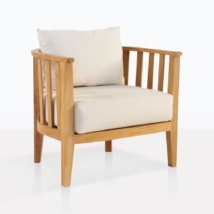 Neutral light colors on this relaxing chair make it a good fit for a variety of settings. 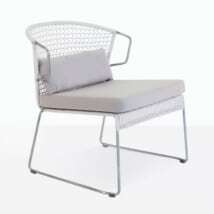 Includes comfortable cushions as shown. 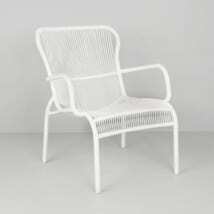 W26" x D28.7" x H30.3"